You can buy fake blood, but it usually isn’t edible. 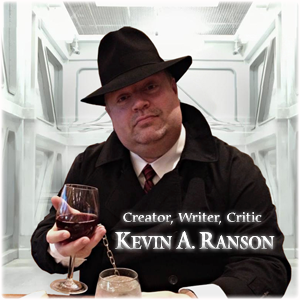 For a character cosplay I’ve been working on for conventions, I wanted a sophisticated, dapper, vampire-about-town…walking about with a wine glass filled with his preferred drink of choice. To look good up close, you need something dark red but not fake looking, thick and sticky like it’s just starting to clot, and believably cloudy. And hey, shouldn’t it be delicious? Starting with three recipes I pulled from online, none of them gave me exactly the effect I was looking for. The chocolate-flavored ones seem to yield the best consistency (and taste), where one drop will hang on to the end of your finger forever, shiny and full of life. In a glass mixing bowl, add the 1/2 cup light corn syrup. Add the 20 gel drops of red and 1 of blue (do NOT use too much blue). Mix until blended; looking good already! A little at a time, add in equal amounts of cocoa powder and corn starch. These provide consistency, cloudiness, and flavor. Allow time to mix these in; the longer you stir, the better it looks up close. Watch for clumps and crush them in! Pour into a sealed container and store in fridge until needed. Notes: I tried using regular pancake syrup as a base and chocolate syrup instead of powder, but the cloudiness doesn’t look as good. The color is only slightly off in artificial lighting but great in sunlight; that may be due to the brand of food coloring I’m using. I’ll try a few different ones in the future to see if it makes a difference. Looks real to me! I used to make fake blood for stage productions in college — for us, it was chocolate syrup, caro syrup and red food coloring. I just grossed out my wife with the picture; she jumped until she realized what she was looking at. SCORE!